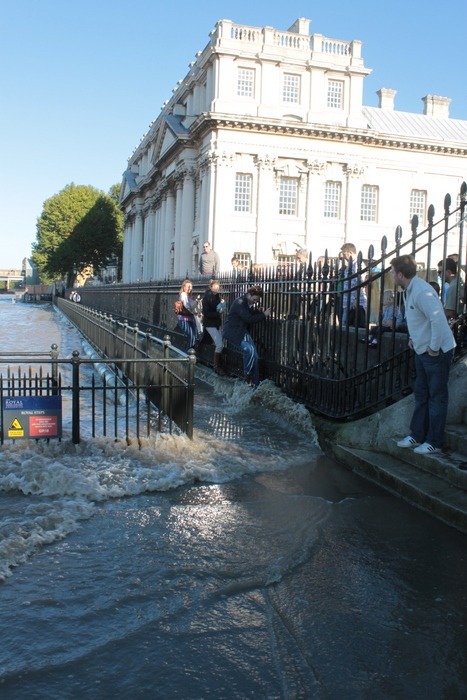 The level of the Five Foot Walk in front of Greenwich Hospital (now Greenwich University) is just above the mean high tide level of the River Thames and about 1 metre below the flood defense level in this part of London. It therefore enjoys frequent floods – as do those who use the walkway. They run, jump, climb and carry each other through the water (more often boys carrying girls than the other way about for some reason). Despite this wonderful example, all the new walks beside the Thames are built high above the flood defense level. This costs more money and separates people from the water margin where, in Desmond Morris’ view, their ancestors evolved. And the separation is ugly. The name Five Foot Walk is a reminder that the commissioners of Greenwich Hospital did not want any public access in front of their fine buildings but, after a long battle, were forced to concede a walk with a maximum width of Five Feet (1.52m). No problem – it is wide enough almost every day of the year. But post-Abercrombie riverside walks tend to be 5-7m wide. Why? Because the town planners are unobservant nutters who know so little about landscape architecture that they see no need for expert advice. See note on London’s Riverside Landscape (Abercrombie’s diagram is at the foot of the page). I speak as an ex-Town Planner – who proudly resigned from the Royal Town Planning Institute (RTPI) because the organization was devoid of idealism and imagination. It reminded me of a local government trades union and it was a great relief when the RTPI Journal stopped squirming into my letter box. This entry was posted in SUDS urban water, urban design flooding on 31st January 2011 by Tom Turner. 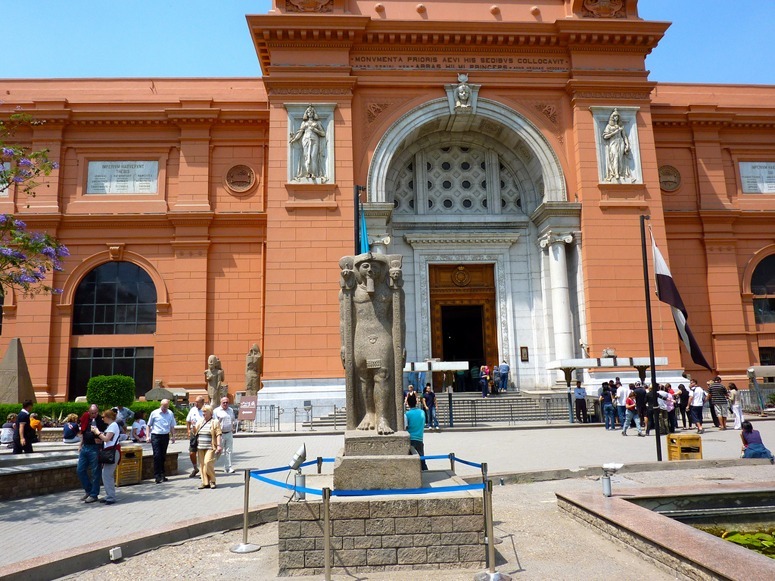 This is not a railway station: it is the Museum of Egyptian Antiquities – and a nearby building is on fire today. The thought of the antiquities being damaged is horrific and it makes me think they should be copied for public view and placed in secure underground bunkers. In fact they should make two copies. In the case of statues, one should go on display in a museum and the other should go in the place where it was found. This should be the normal procedure. For example, large numbers of statues were found at Hadrian’s Villa. Copies should be sited in their original locations. I would love to see the Egyptians changing their government. But waiting till the old devil dies would be better than damaging the fabulous antiquities. Dr. Zahi Hawass, Secretary General of the Supreme Council of Antiquities (SCA), said two mummies were damaged by demonstrators. But his job came from Mubarak – so can he trusted? It seems a petty point to add, but the Egyptian Museum also has material of the first importance to the study of garden history. This entry was posted in garden history, Historic garden restoration, landscape and garden archaeology on 29th January 2011 by Tom Turner. As we await two expected tropical cyclones in North Queensland the following questions have a particular poignancy. What is the solution to coast inundation? Are there ways in which we can get used to getting wet and enjoy it as part of the experience – akin to playing in the surf? While the Israeli port project may not offer the solution to the landfall of tropical cyclones, it might inspire ways to accommodate a slightly less defined and changeable boundary between the sea and land. Mayslits Kassif Architects urban regeneration of the Tel Aviv Port is a landmark project which saw “the suspension of all the area’s rezoning plans” and set a precedent for “transformation not propelled by building rights, but by a unique urban design strategy.” The project received the 2010 Rosa Barba European Landscape Prize. This entry was posted in context-sensitive design, Landscape Architecture, landscape planning, landscape urbanism, public art, Public parks, Sustainable design, Urban Design, urban design flooding on 29th January 2011 by Christine. Urban designers in the port city of Copenhagen are making quite a splash for themselves with the design of several exciting new urban spaces. 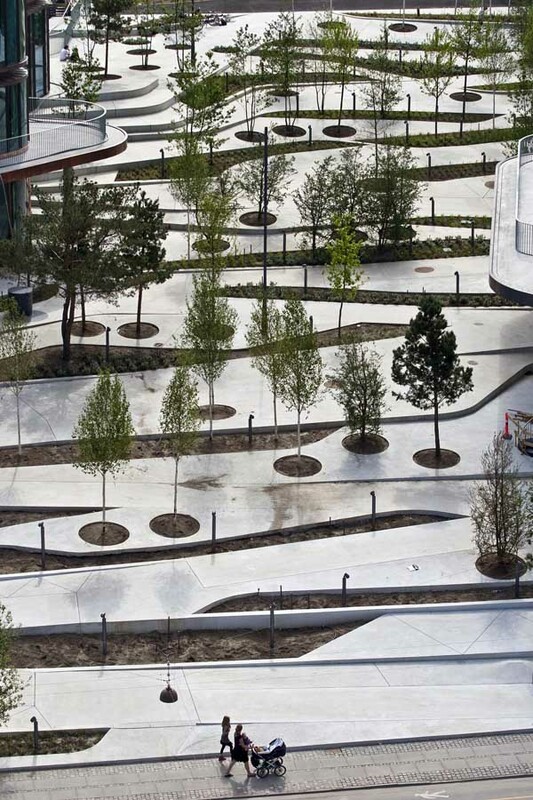 The foldedplate design enables the visitor (pedestrians, cyclists, skaters and the walking impaired) to tranverse the elevated landscape between the buildings amidst a vegetated space of reedy grasses and trees. The landscape has been designed to appear flat and two dimensional from a distance but to reveal its true three dimensional character as you move through its spaces. The high albredo effect is said to produce a cooler microclimate during the warmer periods by reflecting the incoming heat and radiation. Can the the world’s model climate citizen lead the way also with climate sensitive urban design and by its example also change the fate of nations like Mongolia? 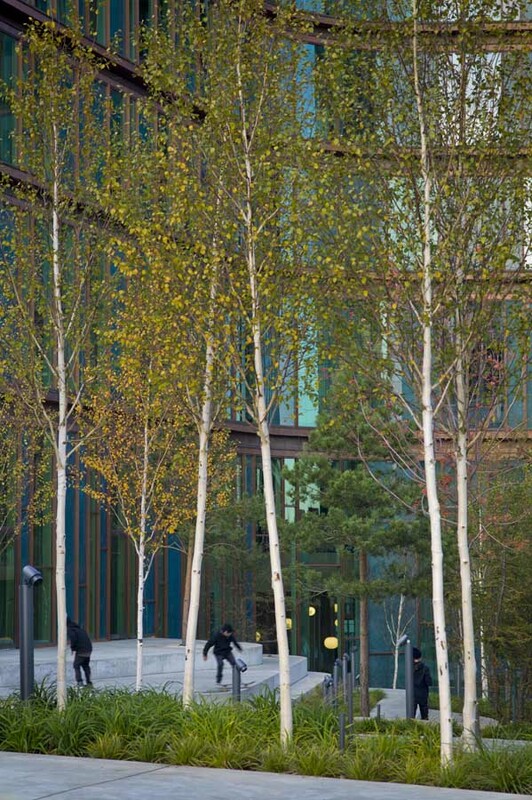 This entry was posted in context-sensitive design, Landscape Architecture, landscape planning, landscape urbanism, SUDS urban water, Sustainable design, Urban Design on 27th January 2011 by Christine. Long term landscape planning for the type of floods which have afflicted Australia could involve designing the landscape in the manner of a regional waffle. Much of the problem seems to have been caused by flows of water on an almost continental scale. The principles, as for Sustainable Urban Drainage Schemes, (SUDS) should be to detain, infiltrate and evapo-transpire flood waters. This process would be assisted by raising embankments where possible: field boundaries, roads, garden boundaries etc should all become dykes. In some cases the dykes would protect against floods but the main objective would be to stop the flood water cascading from zone to zone. Also, the dykes would serve as wild-life corridors and sanctuaries. 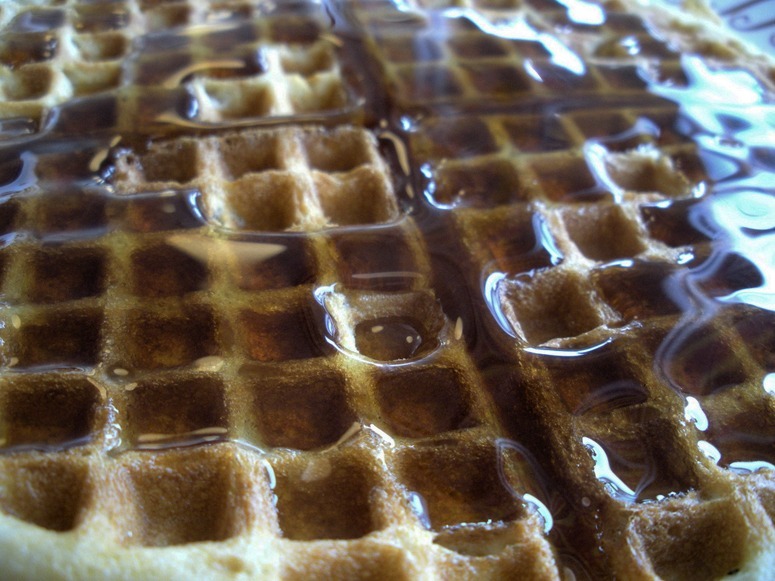 My guess is that waffle-type measures would be cheaper and more effective than building large dams. The next stage would be to move from flood landscape planning to flood landscape architecture, by finding other uses for the dykes and by making them beautiful as well as useful. Individual properties would gain some similarities to motte-and-bailey Norman castles. Another advantage of waffle landscape planning is that when the rains come there will be more time for water to infiltrate into the ground and re-charge aquifers – in preparation for the next long period of drought. Does anyone know if waffle landscape planning has been considered, and if the engineering calculations have been done? 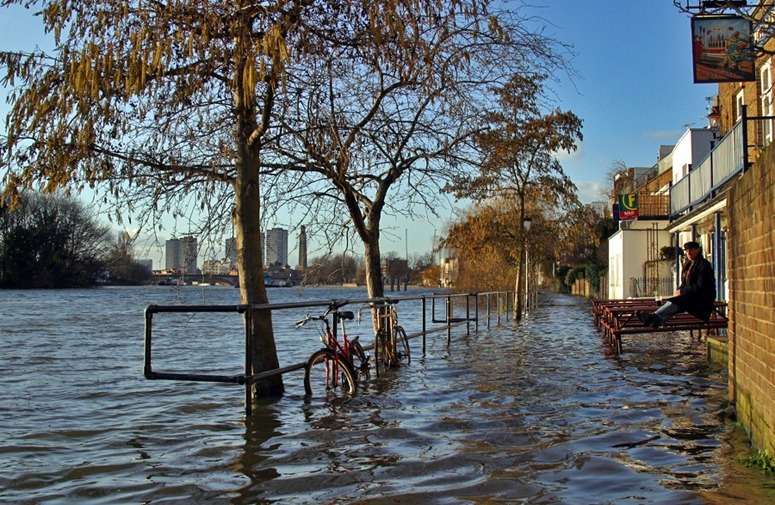 This entry was posted in landscape planning, SUDS urban water, Urban Design, urban design flooding on 24th January 2011 by Tom Turner. 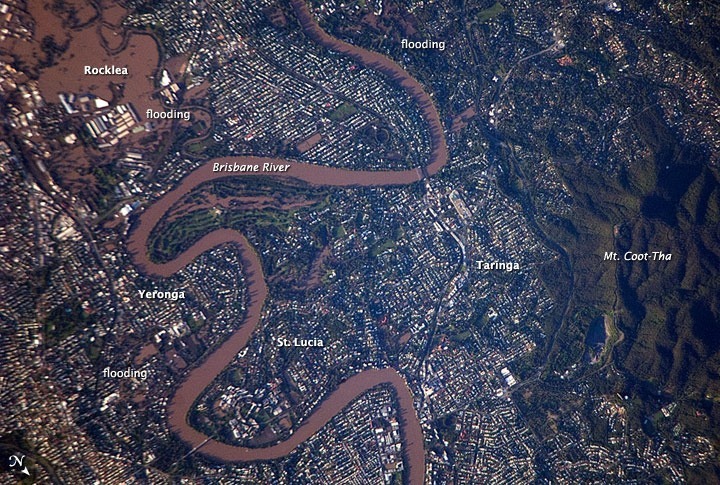 The big question for what happens next for the city of Brisbane and for many cities worldwide is the role of climate change in flood events. The previous big flood event in the city was in 1974. Since then a dam has been built as flood mitigation and in 2011 it has protected the city from more severe flooding. However, with climate change, the expected frequency and severity of flooding could be expected to increase. So yes, a competition too – looking at the bigger picture – to design floodable spaces and places for cities would be a great contribution to urban flood defences and urban design. 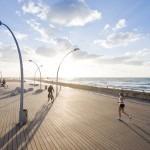 This entry was posted in context-sensitive design, landscape urbanism, News, Sustainable design, Urban Design, urban design flooding on 24th January 2011 by Christine. …And all creatures great and small. Having recently experienced the flooding of my city I am keen to help some of the less visible victims as well. 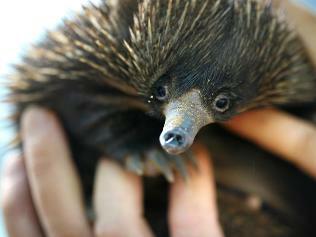 Having spotted a dead echidna by a tree next to a usually busy road in a flood affected inner city suburb, and realizing that he was most probably washed there in the flood waters from Toowoomba, I am keen to start an online charity to assist wildlife. I am proposing an Ark Appeal for Wildlife. Would gardenvisit be happy to sponsor a charity and gardenvisit readers happy to contribute to it? This entry was posted in context-sensitive design, Landscape Architecture, landscape planning, Public parks, SUDS urban water, Sustainable design, Urban Design, urban design flooding on 24th January 2011 by Christine. A terrible thing happened to Pakistan, reminding us of the Sumerian Flood Tablets and the flood of the Old Testament (which may refer the same flood). 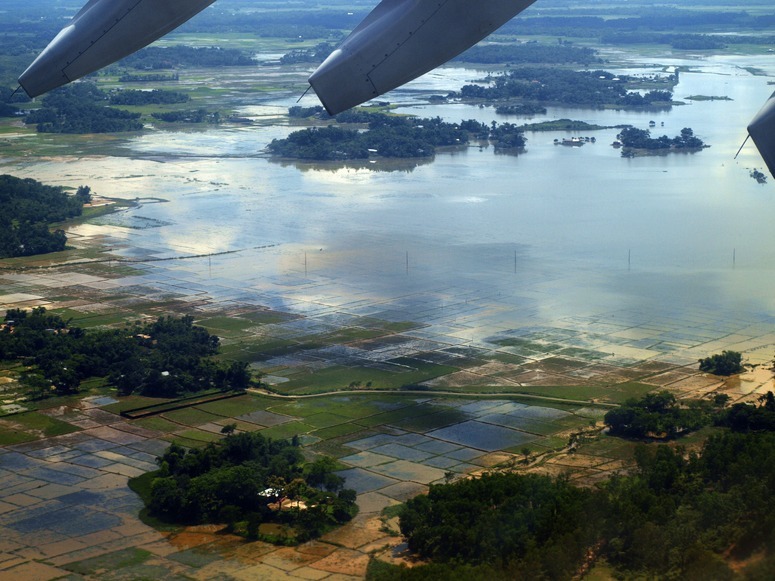 The ancient floods were seen as a call to humans to change their ways – and so should the great Indus Flood of 2010, the great Australian flood of 2011, the great Brazilian flood of 2011 and the great Sri Lankan flood of 2011 . As the aerial photograph shows, Pakistan is largely desert. Would it have been possible to divert the flood waters onto barren land? If so, it might have done a lot of good and might have let us enjoy the great potential beauty of flooded landscapes. The issues involved have much greater significance than the geographic extent of Pakistan: they concern us all. We need to learn, perhaps from the baolis and hauz of India and Pakistan, how to store flood waters and use them over extended periods of time. Every human-used landscape should have plans for floods with return periods of 1-year, 5-years, 25-years, 100-years, 1000-years etc. See diagram for a modest suggestion on how to plan the management of flood landscapes. What can urban designers do to design for flood resistance? They can exercise their imagination in flood design competitions and contribute to flood charities. Professional people should so some work for money and some work for love. 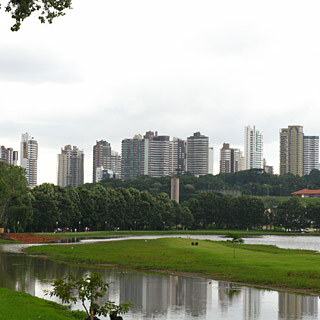 We need floodable buildings, floodable gardens and floodable parks. The photograph below shows part of London (Strand on the Green) where regular flooding is expected, planned-for and enjoyed. 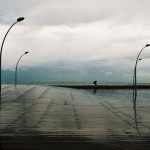 This entry was posted in Landscape Architecture, SUDS urban water, Sustainable design, urban design flooding on 21st January 2011 by Tom Turner. Bowling was the favourite game of the sixteenth century. It was played in great gardens, on smooth garden lawns in towns and on village greens. The game probably reached England from France, perhaps in the thirteenth century. Like most games, it became associated with gambling. Thomas Dekker wrote (in a charming book on The seven deadly sins of London, 1606) that Sloth gave orders that ‘dicing-houses, and bowling alleys should be erected, whereupon a number of poor handy-crafts-men, that before wrought night and day…. they never took care for a good day’s work afterwards.’ During the crusades ‘No man in the army was to play at any kind of game for money, with the exception of knights and the clergy; and no knight or clerk was to lose more than twenty shillings in any one day. The men-at-arms, and “other of the lower orders,” as the record runs, who should be found playing of themselves—that is, without their masters looking on and permitting—were to be whipped; and, if mariners, were to be plunged into the sea on three successive mornings, “after the usage of sailors” . 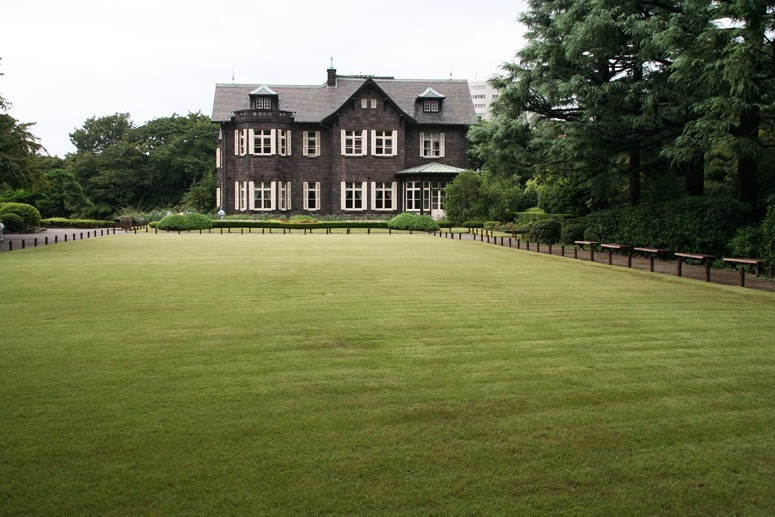 George London and Henry Wise worked only for gentlemen and provided them with bowling greens. 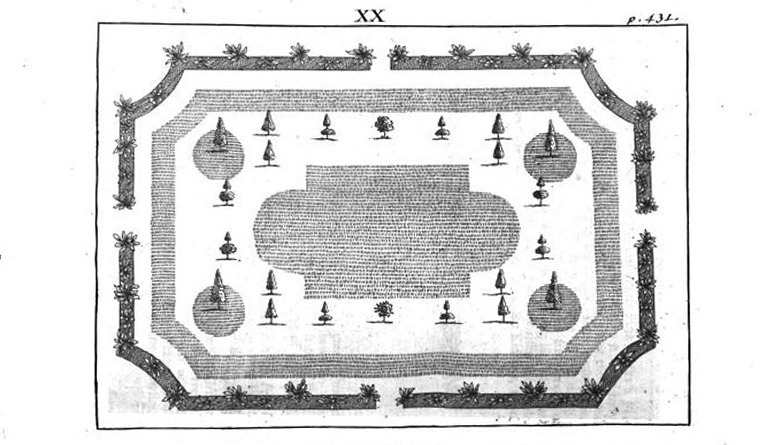 The design below, was published with the explanation that ‘to give a more clear and distinct idea of what a Bowling-Green is, here is the Figure of one, the Design of which, I hope, will not be disapproved of’. Sorry, but I think it a bad design. Still, judging from the Wiki article on bowling, what the word now means is ’10-pin bowling’. Garden and park designes should reclaim the game of bowls. This entry was posted in Garden Design, specialised POS on 16th January 2011 by Tom Turner. What would Plato and Confucius think about modern landscape and architecture? 孔子和柏拉图会对现代建筑和园林的思考会是怎样的? Plato: Confucius! How old are you now? Where have you been? Confucius: I died 2489 years ago and have been touring the Andromeda Galaxy without a body. How about you? Plato: I died 2357 years ago and I’ve been doing much the same thing. Confucius: Well, I am so glad we’ve met again, and with a great view of the city they have made down there. Plato: It is called New York and the plan for Central Park was done by a landscape architect called Frederick Law Olmsted. Everyone thought it was brilliant so they created a profession called Landscape Architecture. I like it. Confucius: Yes, and New York reminds me of the way gridiron buildings and a flowing landscape are combined in Beijing, China. Plato. I’ve seen Beijing. 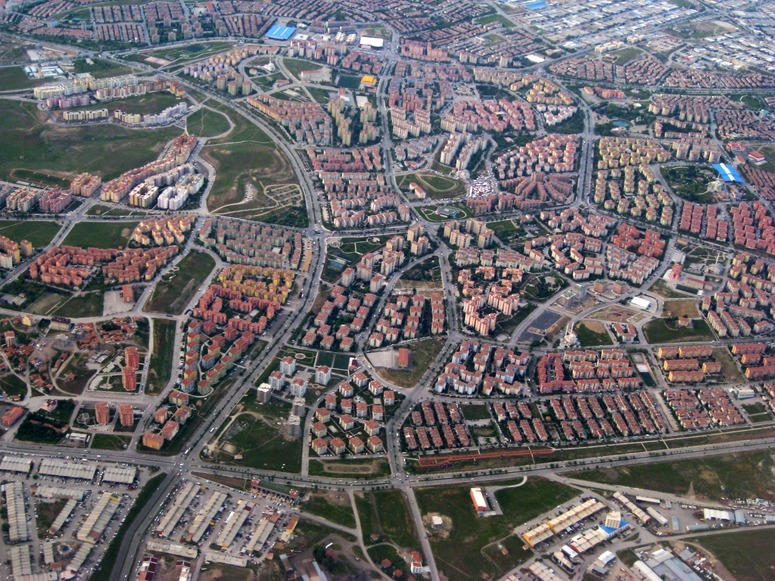 The center is wonderful – but have you seen the suburbs? Ugh. Confucius: Yes. I wouldn’t want to live in them any more than I would like to live in most American cities – or any of the other big twentieth century cities. What do you think went wrong? Plato. I’m afraid I spent too much time thinking about society and not enough time thinking about the landscape. Confucius: I think I made the same mistake. But it did not seem necessary. Daoists knew of a wonderful relationship between Man and Nature so I did not need to worry too much about it. The important thing was to think about an ethical code which would make for happy families and well-run countries without too much fighting. Plato: My concern was also with human society. We had political problems in Greece and the great thing was to distinguish good from bad, right from wrong, truth from falsehood. Relationships with the Gods were fine and we did not need to worry too much about relationships between Man and Nature or cities and landscapes. But I wish I had written more about it. Confucius: I wish I had too. But can you tell me why the modern world does not have more landscape architects and why they don’t integrate architecture and landscape when making all those new cities? Plato: They will, my friend, they will. Or the human race will not survive the growing environmental crisis. Confucius: I hope you are right, my friend. They have a ‘conservation movement’ but their understanding of its nature and its history is far too shallow. Plato: Do you remember when our ancestors roamed together in Central Asia? Confucius: I have heard of it, and of how they loved the wild landscapes, but perhaps you remember more of those times. What do you think matters most? Plato: Be kind, for everyone you meet is fighting a hard battle. Death is not the worst that can happen to men. Ignorance is the root and the stem of every evil. Laws are partly formed for the sake of good men, in order to instruct them how they may live on friendly terms with one another, and partly for the sake of those who refuse to be instructed, whose spirit cannot be subdued, or softened, or hindered from plunging into evil. Confucius: Yes. Forget injuries, never forget kindnesses. What you do not want done to yourself, do not do to others. Study the past if you would define the future. He who exercises government by means of his virtue may be compared to the north polar star, which keeps its place and all the stars turn towards it. Tom: Yes indeed. But what about the fauna, the flora, the mountains, the rivers, the winds, the forests and the seas? Confucius and Plato: We have learned many things in Andromeda – but the truth which can be spoken is not the real truth and the world that can be seen is not the real world. This entry was posted in Landscape Architecture, Sustainable design on 12th January 2011 by Tom Turner. 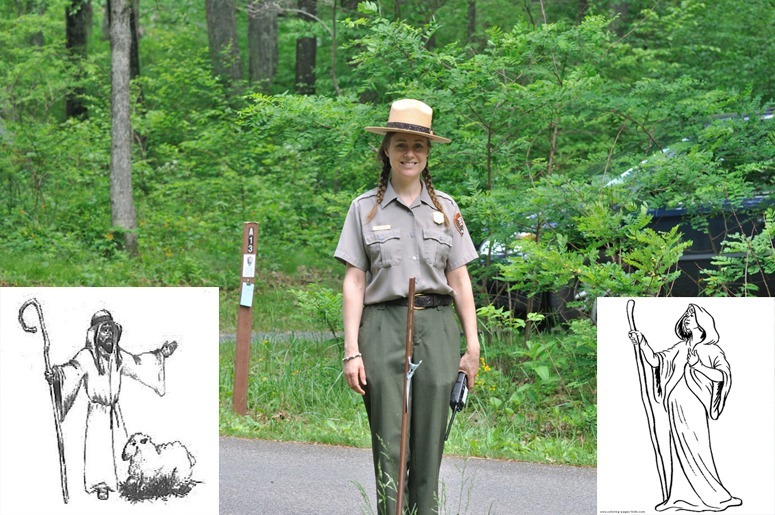 Why do park rangers dress in mock-military costumes? Etymology provides the answer. ‘Ranger’ derives from the Middle French ranger ‘to arrange (soldiers) in ranks… to put oneself in rank or order’. Ranger came into English meaning ‘a forester, a gamekeeper, a keeper of a royal park (also as an honorary title). Now esp. : a warden of a national or state park or forest’. But do we want national and natural parks to be run by soldiers and, if so, who are they fighting? Wild animals? Visitors? I would prefer natural landscapes to be regarded as Sacred Space and tended by either holy men, like the druid (above right) or the good shepherd (above left). There should be a total ban on folksy signage and I do not like the connection with the hunting and pleasure parks of feudal barons. National parks should be national sanctuaries, preferably with no bitmac, motor vehicles or tourist ‘facilities’. This will not be an easy change to effect but a start can be made by employing staff dressed like hermits to protect the sacredness of natural areas (using ‘sacred’ in its pre-Christian sense of ‘set apart’). This entry was posted in landscape planning on 10th January 2011 by Tom Turner. 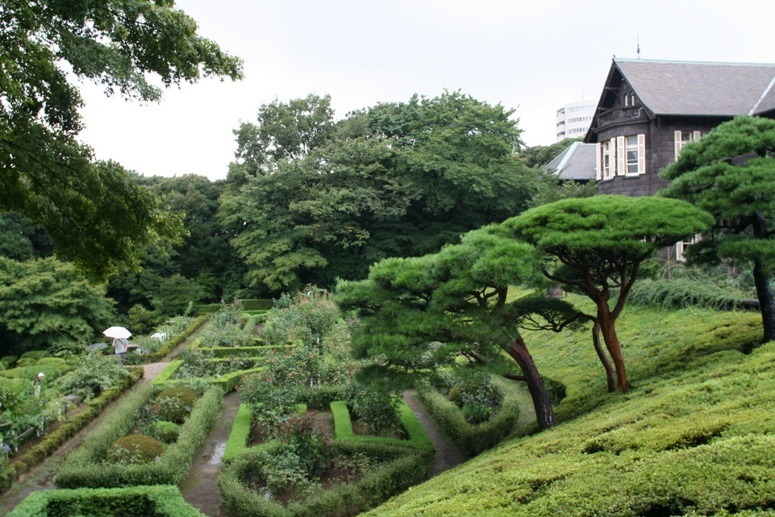 Which capital city's gardens are we looking down on? Since this is a little difficult, I offer two clues (1) it is in Eurasia (2) it is not the city centre! What do you think of my modest proposal for a re-design, below? I think the whole project must have been ‘designed’ by crazed engineers with no knowledge whatsoever of the aesthetic, ecological, functional or financial roles of open space in the urbanisation process. This entry was posted in Asian gardens and landscapes, context-sensitive design on 6th January 2011 by Tom Turner. Where is this house and garden? This entry was posted in context-sensitive design, Garden Design on 4th January 2011 by Tom Turner. Can you recognise this city? What hemisphere does it belong to? Which continent? Which cultural group? What language do you think they speak as the lingua franca? Please post your guesses and I will provide further clues to the city’s identity. This entry was posted in context-sensitive design, Garden Design, Public parks, Urban Design on 4th January 2011 by Christine. Japan was the first Asian country to modernise its industry but always wanted to retain its unique identity. This turned out to be more difficult for buildings than for gardens. 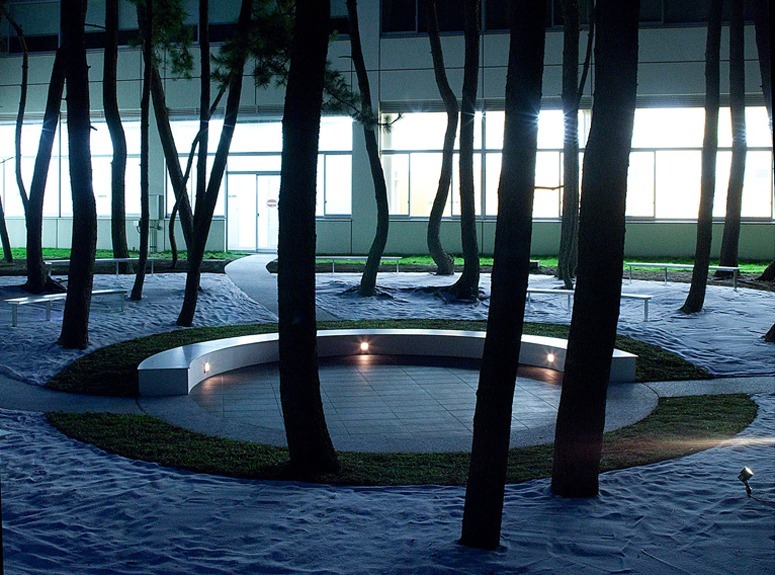 Haruko Seki is a Japanese landscape architect based in London. Perhaps for this reason, she has a keen eye for something essentially Japanese which is not sentimentaly ‘Old Japan’ We saw this in her Silver Moonlight Garden at the 2008 Chelsea Flower Show and are pleased to see it again in the above photograph of the Garden of Pine Woods for Niigata Seiryo University Campus, Niigata City, Japan (completed 2010). The courtyard was designed to become a central event stage and a space where everyone can meet. The structural form gleams softly through the shadow of pines, reflecting and enhancing their beauty. There is a Wabi-Sabi combination of purity with imperfection, because the trees do not allow perfectly complete circles. Sitting beneath the colling shade of pine trees is a pleasant activity in the hot humid shade of a Japanese summer. It is a context-sensitive design, functionally, climatically, culturally and aesthetically. The V-sign is also a context-sensitive gesture. In England it symbolises vulgar aggression (with the palm facing backwards) and victory, as in the Churchill salute, with the palm facing forwards. 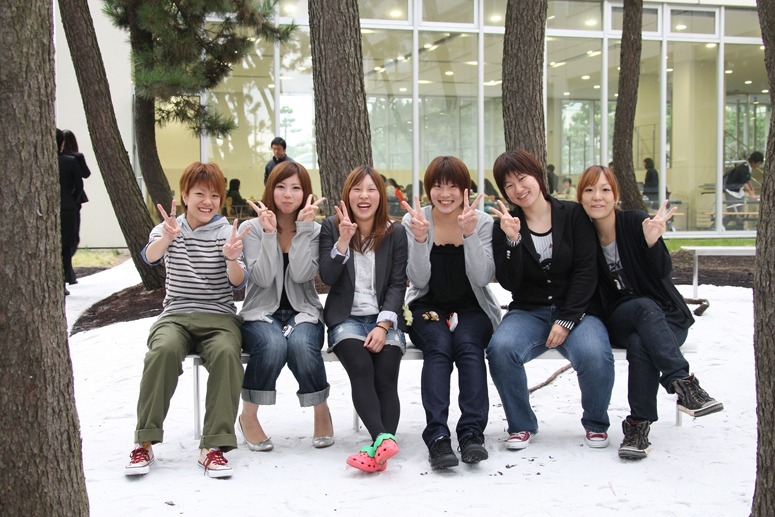 In Japan and much of East Asia, it became associated with peace and happiness, after the 1972 Olympic Games. This entry was posted in Asian gardens and landscapes, context-sensitive design, Garden Design on 2nd January 2011 by Tom Turner.